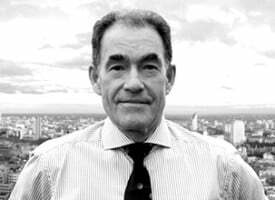 Michael Pento: President of Pento Portfolio Strategies – Michael is a well-established specialist in the “Austrian School” of economics. A regular on CNBC, Bloomberg, Fox Business, King World News and other national media outlets and his market analysis can be read in most major financial publications. 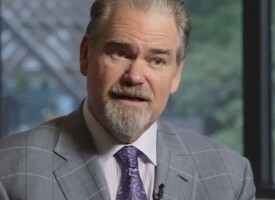 Prior to starting Pento Portfolio Strategies he served as a senior economist and VP of the managed products division of another well known financial firm. Michael has also created ETFs and UITs that were sold throughout Wall Street. Earlier in his career, he worked on the floor of the NYSE. A book that is certain to spark controversy within the financial media and throughout the halls of government, The Coming Bond Market Collapse: How to Survive the Demise of the U.S. Debt Market sounds a clarion call to investors, business leaders, and policymakers. Author Michael Pento, a noted adherent of the Austrian school of economics theories, compellingly argues that the United States is fast approaching the end stage of the biggest asset bubble in history. Mr. Michael Pento serves as the President and founder of Pento Portfolio Strategies. This brand new Registered Investment Advisory Firm (RIA) is designed to operate like an actively managed fund, but without all the expenses. While we focus our trading strategy towards the secular trend of rising inflation, we don’t hold a static portfolio. The fund uses proprietary macroeconomic models and technical analysis to move between inflationary and deflationary portfolios designed to profit from shifts in the domestic and global economy. We charge 1.5% per annum on Assets Under Management, with lower breakpoints depending upon the level of AUM. We think this model is superior to all others in that it allows the average investor the ability to have their money actively managed by professionals, without paying the unreasonable fees associated with a hedge fund. And as an added bonus, you will also have direct access to both myself and my team via email or phone, so there will never be any walls between you and your money. When investing your money, you want someone with experience and someone that you can trust. And you want to be treated fairly. Our motto is “analysis without an agenda”. Please give us a try. Michael Pento: President of Pento Portfolio Strategies – Mr. Pento is a well-established specialist in the Austrian School of economics and a regular guest on CNBC, Bloomberg, FOX Business News, King World News and other national media outlets. His market analysis can also be read in most major financial publications, including the Wall Street Journal and KWN. He also acts as a Financial Columnist for Forbes, a contributing writer to TheStreet.com and is a blogger at the Huffington Post. Prior to starting Pento Portfolio Strategies, Mr. Pento served as a senior economist and vice president of the managed products division of another well-known financial firm. There, he also led an external sales division that marketed their managed products to outside broker-dealers and registered investment advisors. Additionally, Mr. Pento has worked for an investment advisory firm where he helped create ETFs and UITs that were sold throughout Wall Street. Earlier in his career Mr. Pento spent two years on the floor of the New York Stock Exchange. He has carried series 7, 63, 65, 55 and Life and Health Insurance Licenses. Mr. Pento graduated from Rowan University in 1991. On the PentoPort.com site you can find all of Mr. Pento’s latest commentaries and media appearances. You can also leave your contact information in order to learn more about Pento’s Portfolio Strategies. 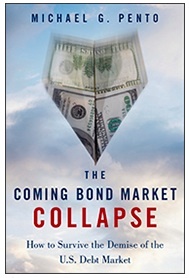 The Coming Bond Market Collapse: How to Survive the Demise of the U.S. Debt Market – Editorial Review – From the Inside Flap: A book that is certain to spark controversy within the financial media and throughout the halls of government, The Coming Bond Market Collapse sounds a clarion call to investors, business leaders, and policymakers. 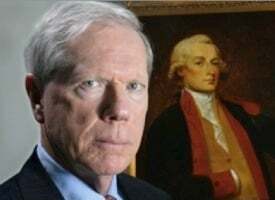 Author Michael Pento, a noted adherent of the Austrian school of economics theories, compellingly argues that the United States is fast approaching the end stage of the biggest asset bubble in history. He describes how the bursting of that bubble will trigger a massive interest rate shock that will send the U.S. consumer-driven economy and the U.S. government—now pumped up by massive Treasury debt—into bankruptcy, an event that, in turn, will send violent shockwaves throughout the global economy. Backed by a wealth of historical and economic data, Mr. Pento examines how the policies followed by both the Federal Reserve and private industry have led, inexorably, to the impending disaster, and he exposes alarming parallels between the U.S. and European debt crises. But this book isn’t all doom and gloom. A top market analyst who accurately foretold the bursting of the housing bubble in most major print and TV media, Michael Pento also provides well-reasoned solutions that government, industry, and individual investors can take to insulate themselves against the coming crisis. Just as importantly, Mr. Pento delivers proven strategies and tools investors can use to successfully navigate the rocky times ahead and to not only survive the crisis, but capitalize on it. The Coming Bond Market Collapse gives you the information you need to make sense of and prepare for the looming economic debacle. It provides you with tested strategies for insulating yourself against the most violent shocks that follow. And it arms you with tools for thriving financially, even in the midst of what could be a disaster worse than the Great Depression.